After two seasons as the face of Louis Vuitton, the Queen of Pop is ready to take on her next high-fashion challenge: modeling for Dolce & Gabbana! The Italian design duo announced on their online magazine Swide.com, that Madonna (51) will be the face of their Spring/Summer 2010 campaign. This won’t be the first time the Italian designers have teamed up with Madonna. They first collaborated with the star back in the early ’90s when they designed the iconic costumes for her 1993 The Girlie Show tour and then, just last year, they designed costumes for her return to the stage during the Sticky and Sweet tour. 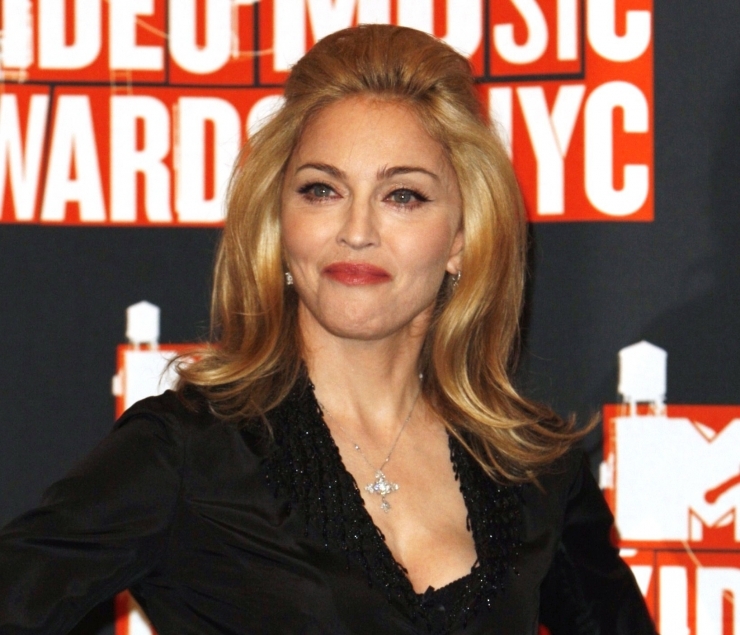 “To have Madonna in our campaign is a dream come true,” Domenico Dolce and Stefano Gabbana tell their online magazine. And with their Sicilian-inspired Spring/Summer collection revisiting iconic pieces, such as their signature corset, it is only fitting that Madonna, who shares an Italian heritage with the designers, brings the collection to life. Madonna’s Dolce & Gabbana ads were shot last week in New York City by photographer Steven Klein. What do you think about the new face of Dolce & Gabbana? She´s 51!!! Are´nt there enough young pretty models?? ?